I’m so confused and definitely need some help. So ive come acrossed some articles which state that antibiotics can potentially permanently alter beneficial bacteria after the course is done. https://www.popsci.com/science/article/2011-09/antibiotics-may-be-permanently-altering-our-friendly-gut-microbes this is just one. Now if this is true they tell you to just take a probiotic which in most cases is transient and doesn’t really colonize the gut. And also you’d only be supplying ten strains compared to hundreds that got destroyed during treatment. Is this true? I’m asking because I want to take antimicrobial s for parasites but I don’t want to permanently kill my good bacteria. So depressed right now..
Who are “they” and which specific probiotic are they recommemding?Which parasites have been diagnosed, and which drug have you been prescribed? 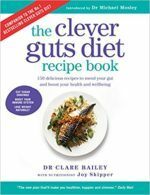 Have you read Dr Mosley’s ‘The Clever Guts Diet’ and/ or any of the other gut microbiome books written by experts in the field (Prof Tim Spector, Prof Rob Knight, Dr Blaser)? I haven’t read of any expert in the field recommending nothing but a short course of a probiotic supplement. Generally a properly balanced and *very varied* wholefood diet is advocated, loaded with prebiotic rich AND probiotic rich foods. Other aspects of a healthy lifestyle also impact the gut flora, such as physical activity levels, alcohol intake, smoking, weight management. Many health conditions can be prevented, treated or (occasionally) cured through targeted lifestyle modification. Over time this can reduce or eliminate the need for prescription medication. It is well worth discussing your concerns and options with the prescribing doctor, your pharmacist, a registered dietician or other lifestyle healthcare professional. Lastly I am not sure if you are being flippant or serious about your low mood, but evidence suggests that mild to moderate clinical depression can be treated with targeted diet and lifestyle choices. In severe clinical depression the concensus of the medical profession is that prescription medication (with or without talking therapies and lifestyle modification) is required. Interestingly gut dysbiosis has been linked to some disorders of mental health. If the damage done by antibiotics is irreversible then these lifestyle changes won’t have much impact. I have been interested in probiotics and prebiotics since the start when MM’s book came out. I have always eaten natural greek yoghurt but delved in further, now making my own kefir instead of shop bought. Then I read that MM had given Bimuno a go and sent off to the UK….I’m Australian…..to try it myself. Well, I am on my third box, 3 months worth, and, quite frankly, I don’t feel one scrap better than before I started. What is your opinion ? Is it worthwhile continuing ? Even my yoghurt and kefir doesn’t seem to have changed my health in any way……but I DO like them both. I have viewed the video but didn’t see anything I don’t already know. I am 80 years old, lost 15k on The Blood Sugar Diet last year and am a normal weight for my height….9.2 stone, 5’3”. I have had a total hip replacement and can’tdo much excercise, lost my sight in one eye and am fighting to save the other with regular injections in the eye. I feel I eat fairly well 80% of the time, have realised carbs do not like me too much but I try to have “good” carbs in small amounts. Unfortunately, fruit sends me sky high on the blood sugar levels, so I jusy keep them to a minimum. I eat vegetables regually. As I previously said, I eat natural Greek yoghurt and kefir [ I ferment my own ], eat nuts,seeds daily and eat small portions, due to both age and reason. Really all I want to know is if spending money on buying Bimuno from the UK is worthwhile since I have not seen any improvement after 3 packets ? JillyB: impressive results from the Blood Sugar Diet! I haven’t read that book, so please excuse any questions with answers obvious to BSD devotees. Where are you in the Clever Guts Diet phases, have you been completing the detailed food and symptom diary (p.187)? Are you eating seven servings a day/ 20 to 30 varieties a week of vegetables and fruit – non starchy, low sugar, colourful – (p.191)? How much mineral and fibre rich wholefoods are you eating in place of starchy carbs in an average day or week? Seeds, nuts, cocoa etc. Depending how you calculate the 80/20 eating well or badly, it would be worth boosting to 90/10. Prebiotic rich foods are just as vital as probiotic rich ones. JillyB: noting your issues with your vision and joints, are you able to be physically active on a frequent basis, even if in very short bursts and at a very easy pace? By active I mean, for example: brief walks before each meal, or sedate lane swimming (with goggles), or water aerobics for seniors, or seated aerobics for seniors, or tai chi, or gardening, or a few stairs instead of elevator/ lift/ escalator. Can you explain a bit more about your medical history? Hip replacement (in theory) should allow you free movement. Can you explain about the eyes? I’m unclear what your objectives are? (On the face of it, no, I wouldn’t spend a penny on Bimuno when you can add natural pre and pro-biotics to your diet..